A clear, coherent and effective digital government policy requires adequate institutional arrangements to support its effective and efficient implementation. 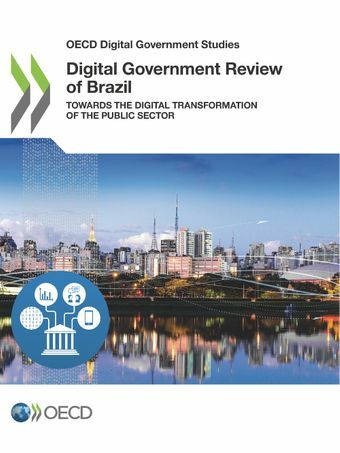 A clear policy framework with a single vision driving and leading the digital transformation of the public sector should be assumed as a priority by the Brazilian Government towards the digital transformation of the public sector. Digital skills are understood as a priority but targeted initiatives are needed to instill a digital culture among policy and decision makers. Coordination is necessary for optimised ICT investment in line with industry norms and standards. Furthermore, a strategy for ICT Commissioning is required, assuring cross-sector and cross-level and involving the stakeholders throughout the ICT commissioning process. Brazil has made efforts in recent years to promote the development, use and reuse of digital key enablers across the public sector. Although Brazil has several good examples of digital openness and collaboration in the public sector, further efforts are required to drive co-creation of public value with civil society and to create a widespread culture of sharing and reuse of government data. A sound framework and context for digital service delivery will enable the Brazilian government to shift from being mainly institution-centred in its service delivery practices to becoming more citizen-driven. Consider leading and actively supporting other Latin America and Caribbean countries’ efforts on cross-border service delivery, given the political and economic relevance of Brazil in the region as well as its experience in promoting interoperability across different federation levels.